Perfect 12-14 knots racing conditions under a blue sky on race day 3 at the 470 Europeans were a complete contrast to yesterday’s weather pattern of driving rain and storms. 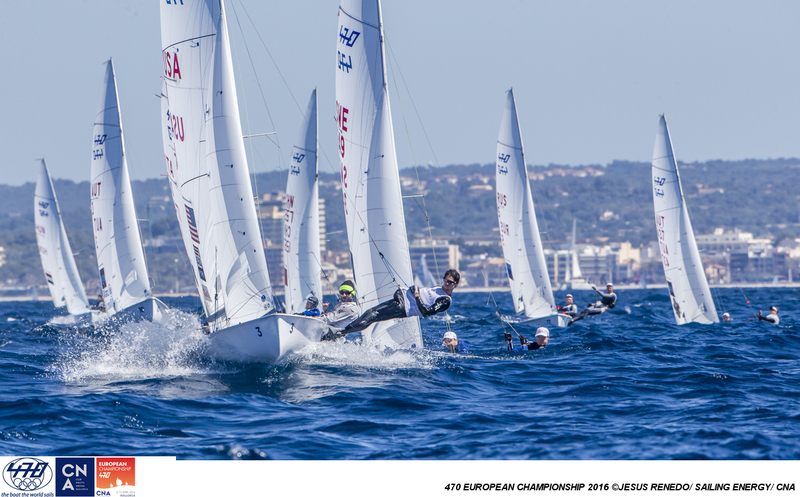 Sailors had to pay intense attention to the shifts on the race track in a tactical situation that was tough. Miss a shift and it was easy to lose your rhythm. 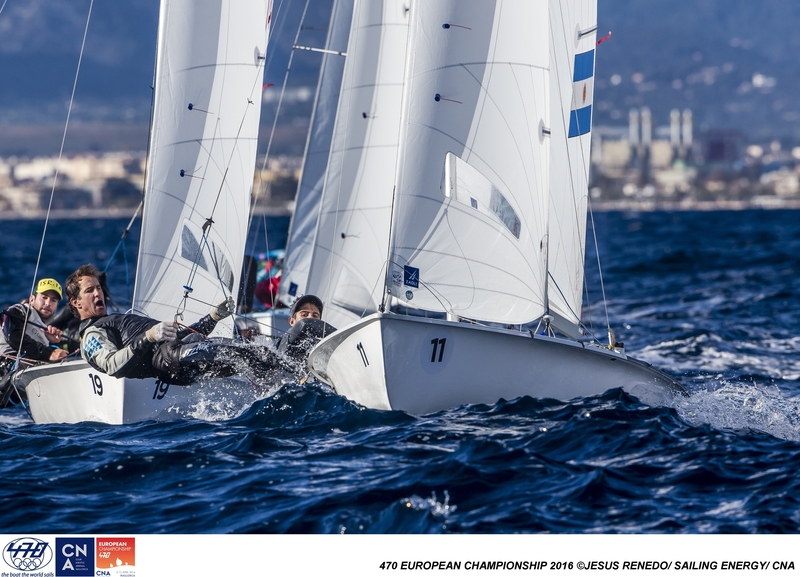 The qualification series was completed on the Bay of Palma, Mallorca, today, for the 470 Men and Women. 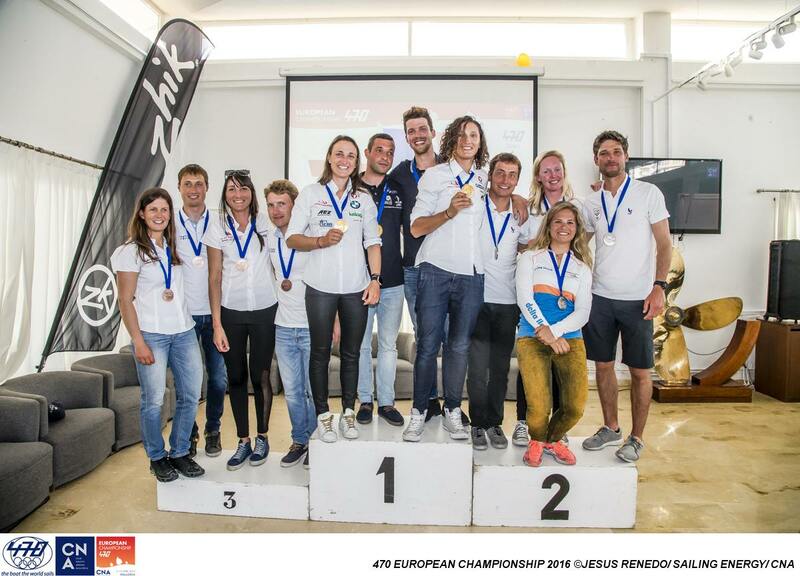 The men took it a stage further, and contested the first race of the 6-race gold and silver fleet final series. No let-up in the performance of Lara Vadlau/Jola Ogar who hold tight to the 470 Women lead, racking up three more top ten finishes. 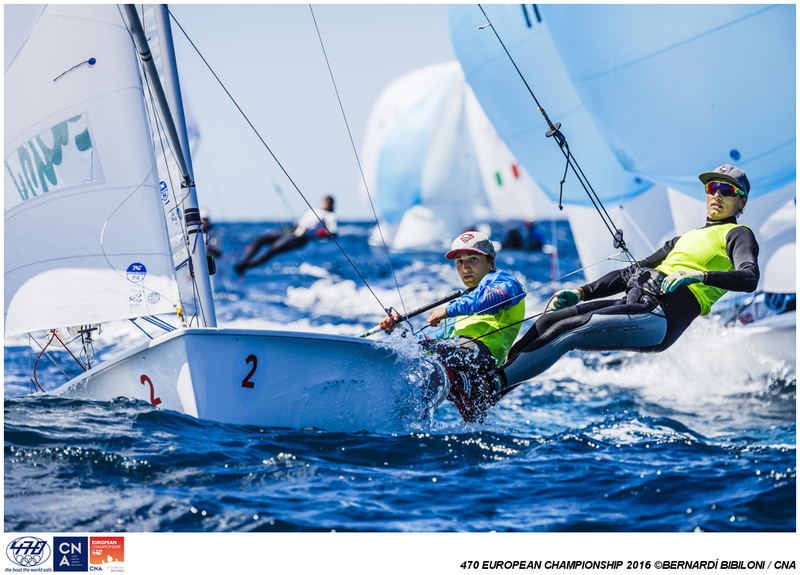 In the 470 Men, Lucas Calarese/Juan De La Fuente opened the day in the lead, lost it and recovered to reclaim the yellow leader bibs for tomorrow. 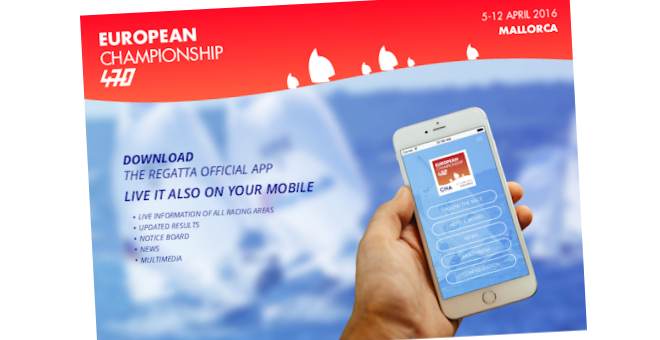 Racing on Sunday 9 April will see the men and women gold fleets racing on course area 2, with the women scheduled to start first at 1130 hours, followed by men. 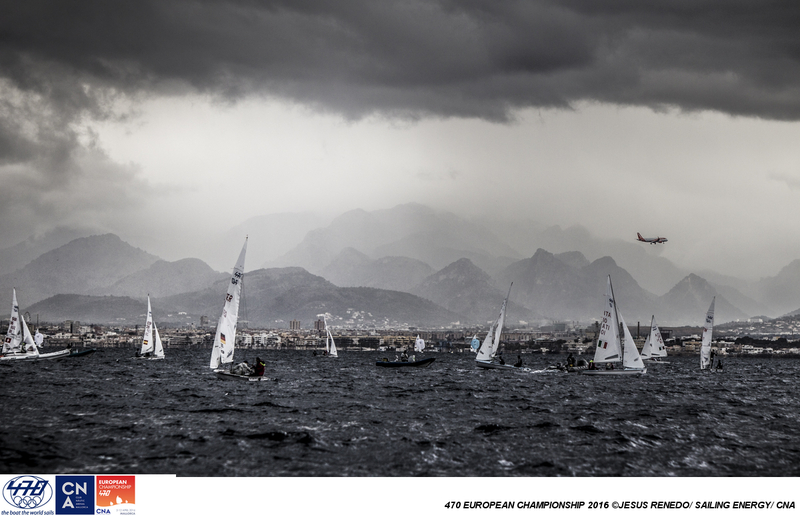 The silver fleets are on course area 1, and a scheduled start of 1200 hours for the women, followed by men. 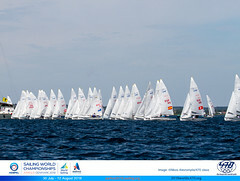 All fleets will race 3 races. 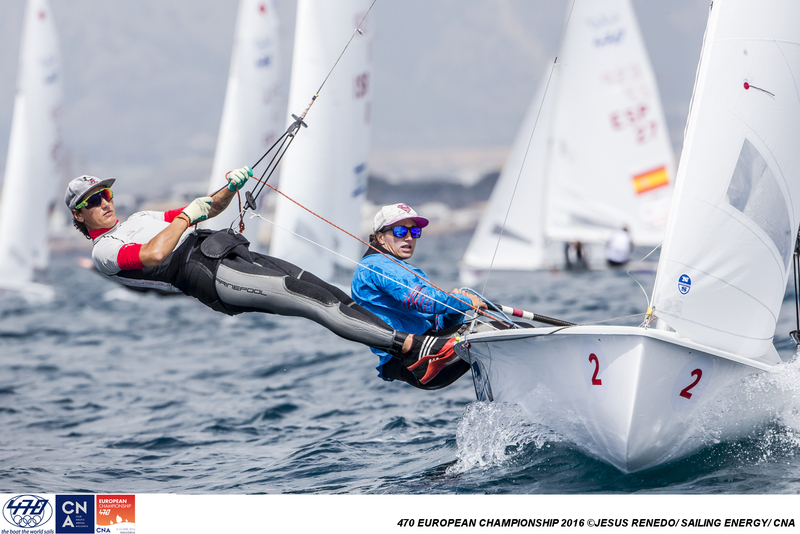 Consistency pays, and Austria’s Lara Vadlau/Jola Ogar remain the only team in the 470 Women lead board to count all top ten finishes, today adding scores of 3,9,2 to their two race wins. 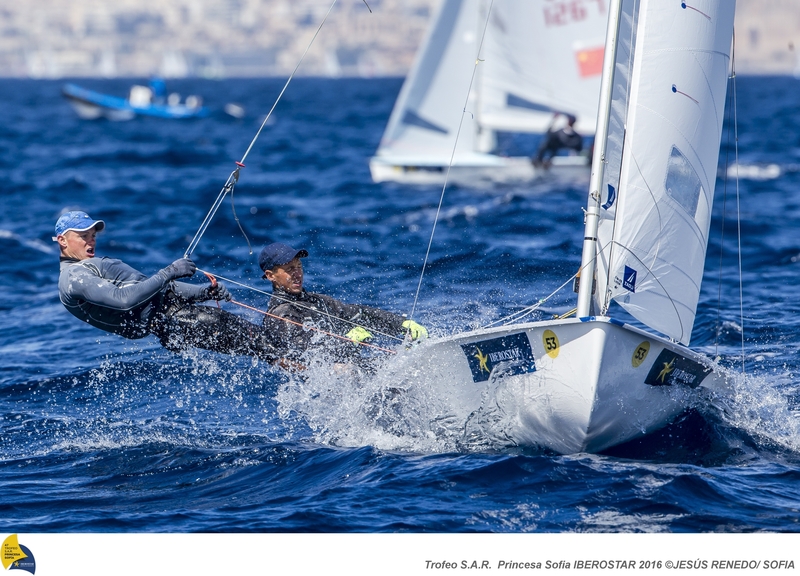 Their margin is narrow, just 1 separates them from second placed Fernanda Oliveira/Ana Barbachan (BRA), who seized two blue fleet race wins today. 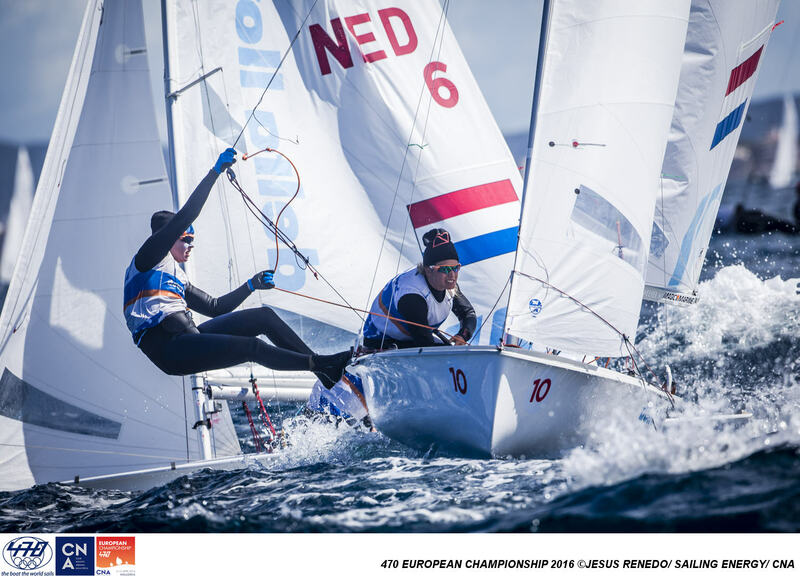 The Netherlands’ Afrodite Kyranakou/Anneloes Van Veen move into third. 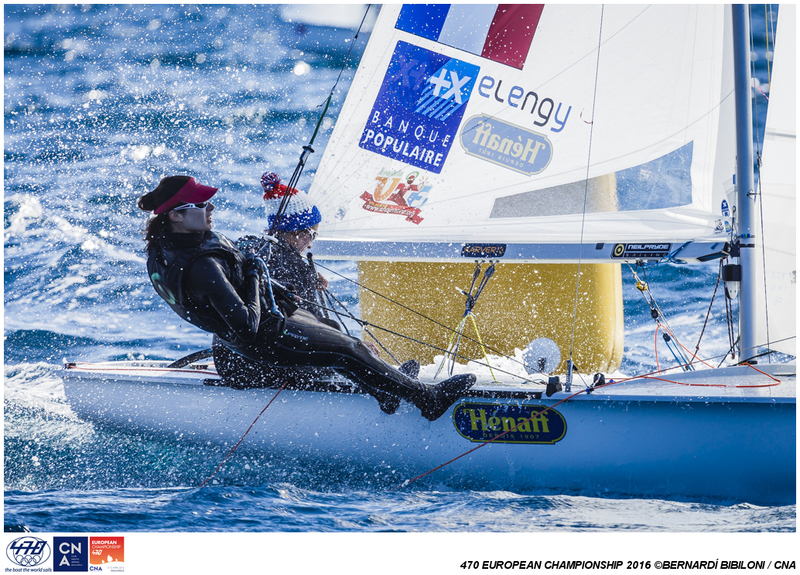 2016 470 World Champions, Camille Lecointre/Helene Defrance stepped-up their game in harmony with the improvement in weather, knocking out a comprehensive display of skill and finesse to win races 3 and 4 in the yellow fleet, leapfrogging into fourth overall. Taking a walk around the boat park, you discover a huge array of boat names adorning the sterns of the 470s. The 470 of third placed Dutch pair, Afrodite Kyrankaou/Anneloes Van Veen is christened with Greek names in tribute to Kyranakou’s heritage. Claiming scores of 4,2,4, the pair were clearly guided around the track by these missives today. 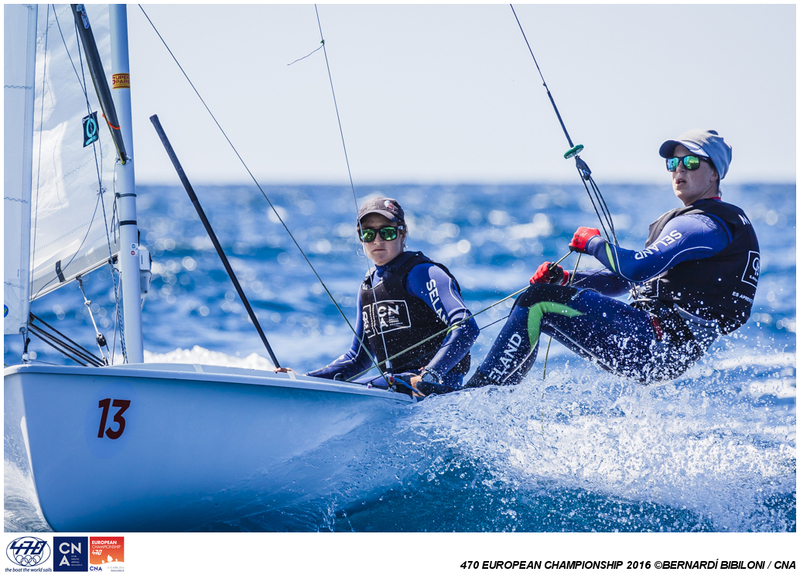 In the charge for selection amongst Spain’s Olympic campaigners, Marina Gallego/Fatima Reyes steamed to victory in race 3, jumping up to third overall. Their gain was short lived, slipping back to tenth after a 12th place in the third race of the day. 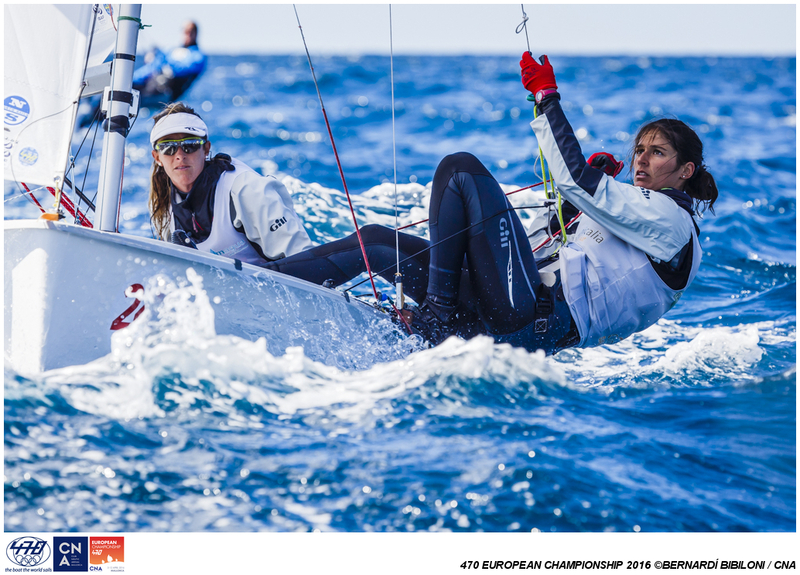 Still leading the Spanish leaderboard charge are the young pairing of Silvia Mas/Paula Barcelo in 7th overall. 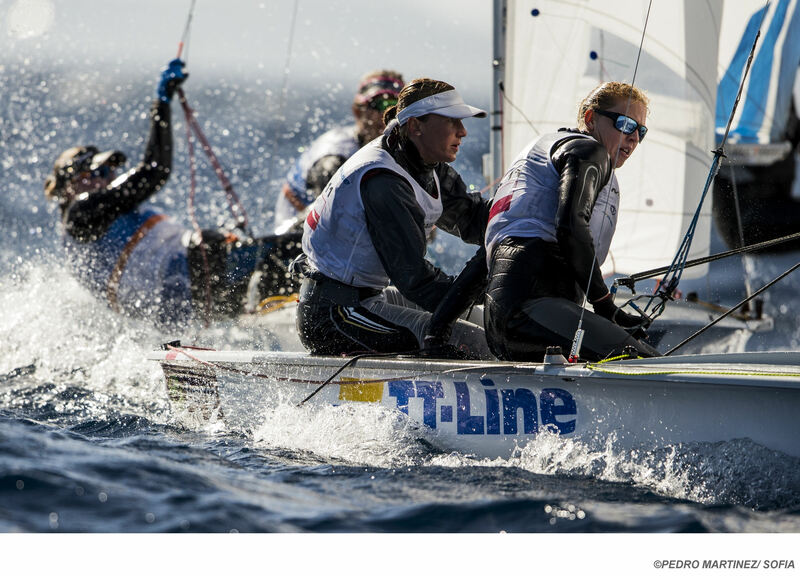 A nail biting tiebreak decided the top twenty-nine teams making the gold fleet cut, an outcome most likely marking the end of the Road to Rio for some. 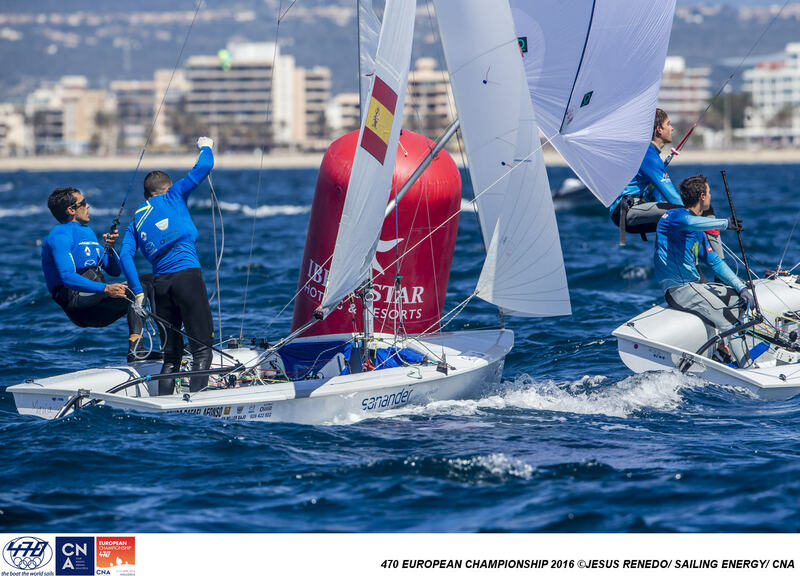 For Spain’s Angela Pumareiga/Patricia Cantero, a place in the silver fleet most likely brings their Rio 2016 campaign to a close. 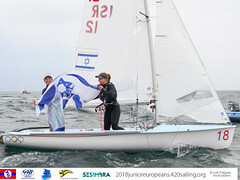 “This is totally different compared to London 2012, particularly as I am now the skipper which is a big change,” said Pumareiga, who has a London 2012 Olympic Gold medal to her credit in the women’s match racing event. After match racing was dropped from the Olympic programme, Pumariega switched class and turned her skills to helming. 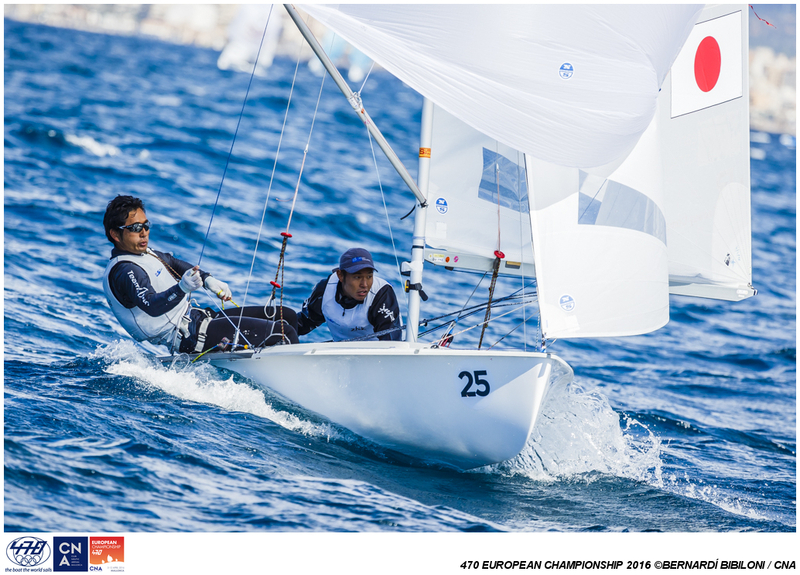 Going into the day, Lucas Calabrese/Juan De la Fuente (ARG) held the lead by 1 point over the next three teams on tiebreak with 4 points apiece. Two races later and the qualification series wrapped up, positioning Anton Dahlberg/Fredrik Bergstrom in the yellow leader bibs, the Argentineans in second, and 2016 470 World Champions Sime Fantela/Igor Marenic (CRO) gearing up into third place. Dahlberg already has two Olympics to his credit, finishing 15th in 2009 and 10 in 2012, but Rio 2016 will mark a first time experience for Bergstrom, seven years since he first competed in the 470 at the 2009 Worlds. “Immediately I raced the 470 I wanted to do an Olympic campaign. 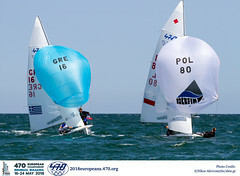 Back in 2009 I thought I was going to win the 470 Worlds, as I thought I was a good sailor. But then I realized there is a completely different level to going to the Olympics and that really encouraged me to continue and fight for it. 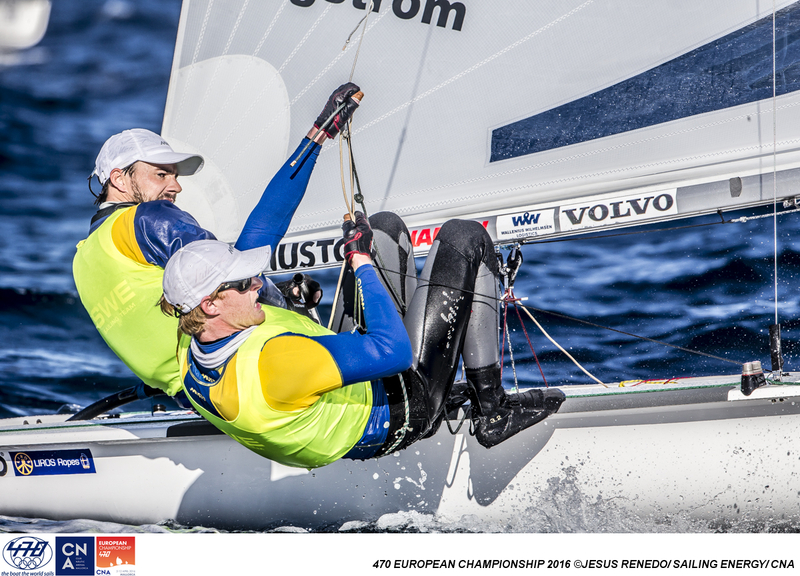 I was super happy to find Anton in 2012 and start sailing with him and have enjoyed every moment in the boat. It is fun!" Reflecting on the hardest part of Olympic campaigning, he continued, “To get everything together. There are so many small details which you should focus on and like you can easily take one step to the right when you should have gone to the left. Not on the race course, but on your whole programme. Trying to gather everything and get a nice programme is really key for success. 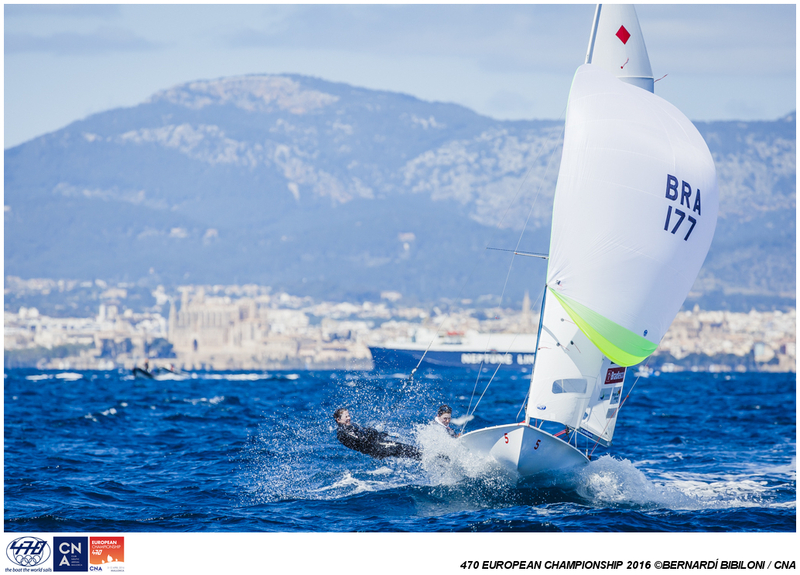 With Bergstrom’s place in Rio confirmed, he is now gunning that brother Victor whom is racing at the 49er Europeans next week in Barcelona, will secure his place in Sweden’s Olympic team line-up. 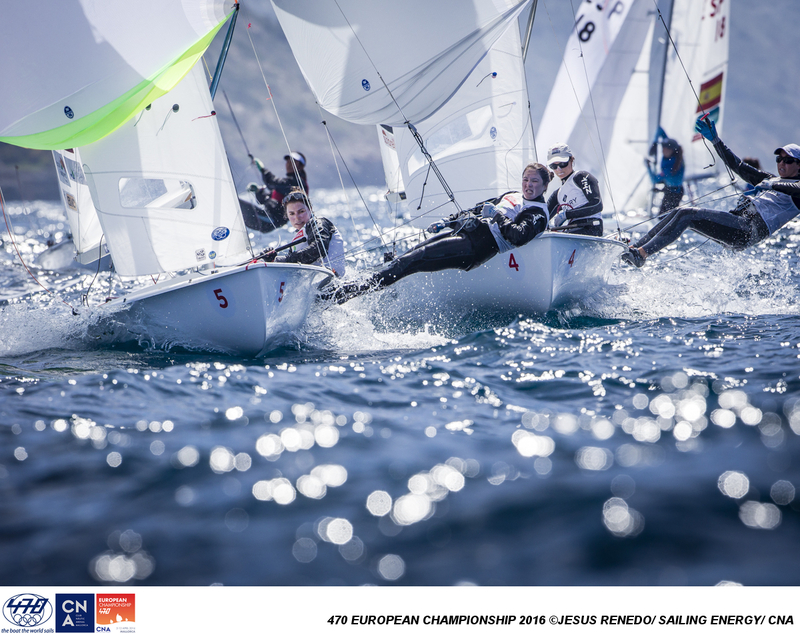 After completing the qualification series, the fleet headed ashore for any protests to be dealt with and were then seeded into 35 boat gold and 34 boat silver fleets, before heading back to the race track for the first final series race. With all the top teams now facing off in one fleet, the racing inevitably gets tighter and we can expect to see higher scorelines. The gold fleet race got underway in a shifty breeze, which saw many of the frontrunners opting for the seemingly favoured left side, only to stumble. 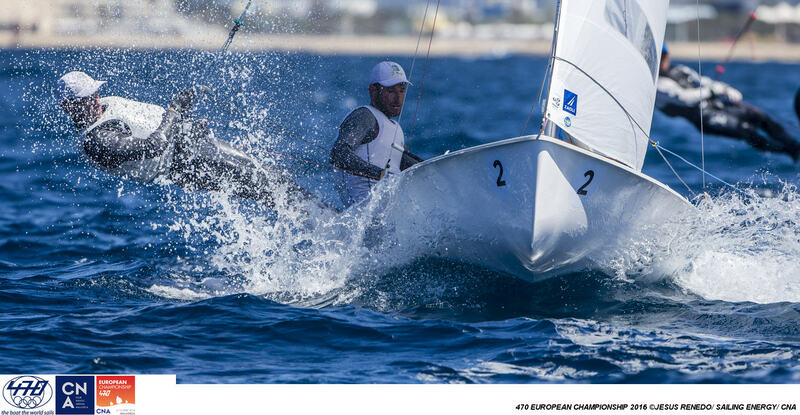 Amongst those falling foul was Spain’s Jordi Xammar/Joan Herp, racking up a 28th. Reigning 470 Open European and North American Champions Stu McNay/Dave Hughes (USA) dropped a bit lower in the top-ten, with scores of 7,13,18. “It was not our best showing, and it did not play out as planned,” said McNay, a two-time Olympian. A performance racing machine, the 470 rewards agility, tactics, tuning, sailing skills, strategy and mental astuteness. 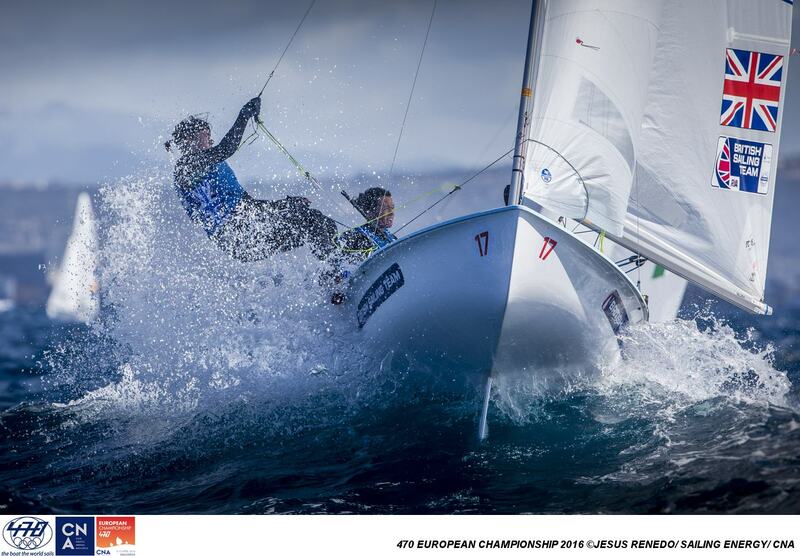 Teamwork is crucial and the pressure is high, with European titles and Olympic selection at stake.